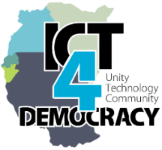 ICT4Democracy– iParticipate Uganda. This project has support from Spider to October 2014 and from Sida to December 2014. Activities will include documenting and publicising the benefits of open governance to citizens and the media; training of media and civil society in the use of ICT tools to promote citizen participation; provision of support to grassroots public access centres; policy analysis on Kenya, Tanzania and Uganda; research on ICTs and governance; and research dissemination. Coordination of the ICT4Democracy in East Africa Network. With funding from Sida (January 2014-December 2014), CIPESA will manage this project which involves the disbursement of funds for the activities of the following partners: the Commission for Human Rights and Good Governance (Tanzania), iHub Research (Kenya), the Kenya Human Rights Commission, Women of Uganda Network, Toro Development Network, Transparency International Uganda, and CIPESA. Promoting internet freedoms: This project continues from 2013. It has support from Hivos (January and February 2014), and from the University of Toronto (January 2014-October 2014). Activities will include finalising research on internet freedoms policies and practices in Burundi, Ethiopia, Kenya, Rwanda, South Africa, Tanzania, and Uganda; documenting internet rights violations and maintenance of the www.opennetafrica.org portal as the one-stop resource on online freedoms in Africa. Leveraging Open Data and the Right to Information to Promote Service Delivery: The purpose of the project is to empower citizens in East Africa to use the RTI law to lodge requests and document their experiences through the use of Information and Communication Technologies (ICTs). The project also aims to undertake awareness-raising and network building activities to promote the right to information in Kenya, Uganda and Tanzania. The work is supported by the Open Society Institute from January 2014 to December 2014.